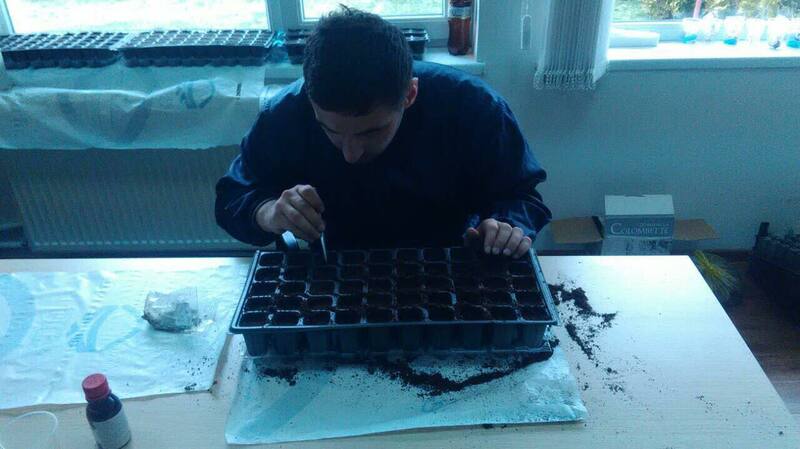 Mr. Erekle Martiashvili (left) planting seeds of the new Rkatsiteli X PiWi cultivars at Saguramo, Georgia. For the first time since the country's independence, new fungus tolerant grape cultivars have been bred and are now successfully growing at the PiWi grape breeding center founded in Georgia last year. 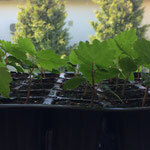 The germination and growth rates of a dozen of crossbreeds between indigenous Georgian grape varieties and established PiWi cultivars are very promising. 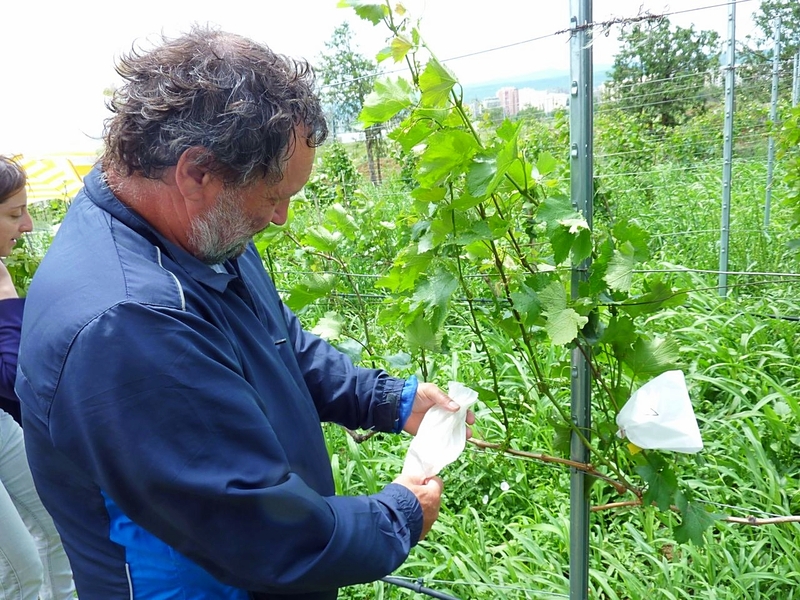 The Georgian manager of the program, Mr. Martiashvili, continues to work closely with renown grape geneticist Valentin Blattner from the Institute of Ecology and Grape Breeding in Switzerland. 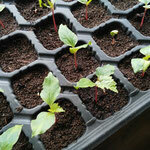 We are all very excited to see how the young plants will continue to fare and how they will like their new "home" outside at the Saguramo trial fields. After two years of consultancy and the establishment of cooperations with local farmers and entrepeneurs, TVC is proud to welcome the new "Saperico" brand now on the market in Georgia. 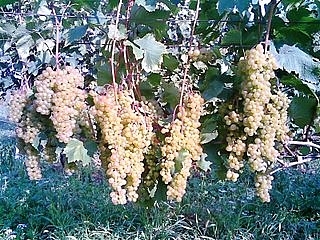 "Saperico" stands for high quality grape products made from the unique Georgian grape cultivar Saperavi. "Saperico" grape juice is a single-origin, deeply coloured juice made from freshly pressed grapes, and only gently pasteurized to maintain the richness of taste and exceptional levels of healthy anthocyanins and polyphenols. Even more unique is the second of "Saperico" products: or have you ever tasted grape skin tea? After pressing the grapes, a large amount of crushed grape berry mush remains. As the berries contain the highest amount of antioxidants and sweetness, it is only natural to also use these excellent fruits! The mush is dried and then ground to a fine powder, which is then filled into tea filter pads to provide you with a wonderfully lilac coloured, refreshing and nutty tea with great health benefits. Valentin Blattner (left) supervising field trainings at Saguramo (middle) to boost Rkatsiteli variety (right). The country of Georgia is one of the cradles of wine production and home to around 500 indigenous grape varieties. With the end of the Soviet Union, however, fewer investments have been made and breeding programs were phased out. 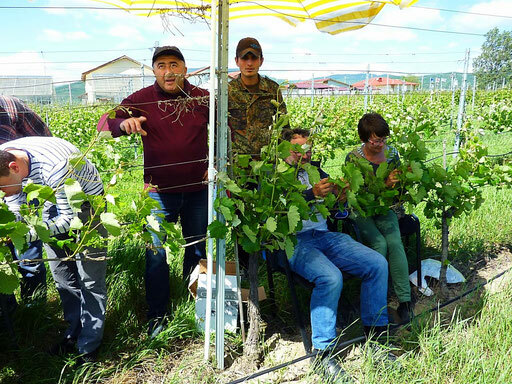 The last decade has now seen a revival of Georgian viticulture with new agencies and training programs, and an already impressive increase in wine production. To ensure future quality winemaking, Georgian grape varities need to be adapted to the now omnipresent Oidium and Peronospera diseases. One way of adding resilience is a breeding program which incorporates the latest generation PiWi (fungus tolerant) grape varities. 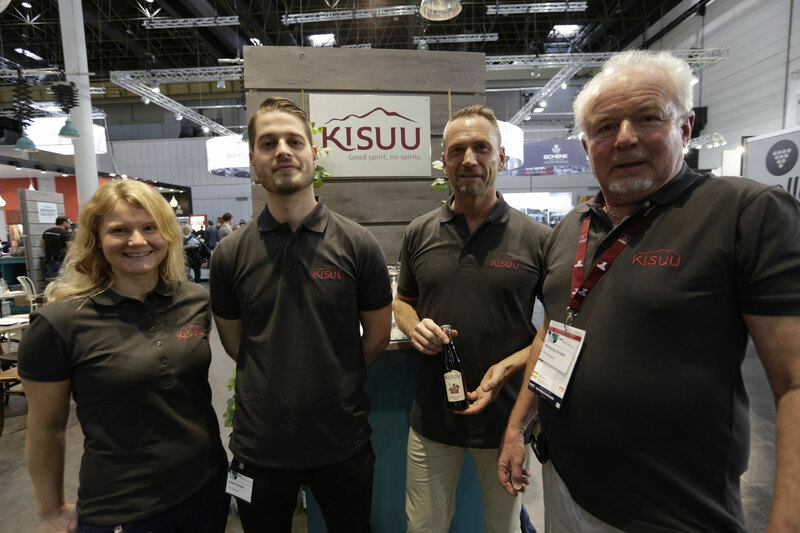 Proudly Presented by TVC: The World's First Grape Leaf Soda KISUU! Everybody knows wine, secco, or grapejuice..but have you ever considered a drink made from grapeleafs? 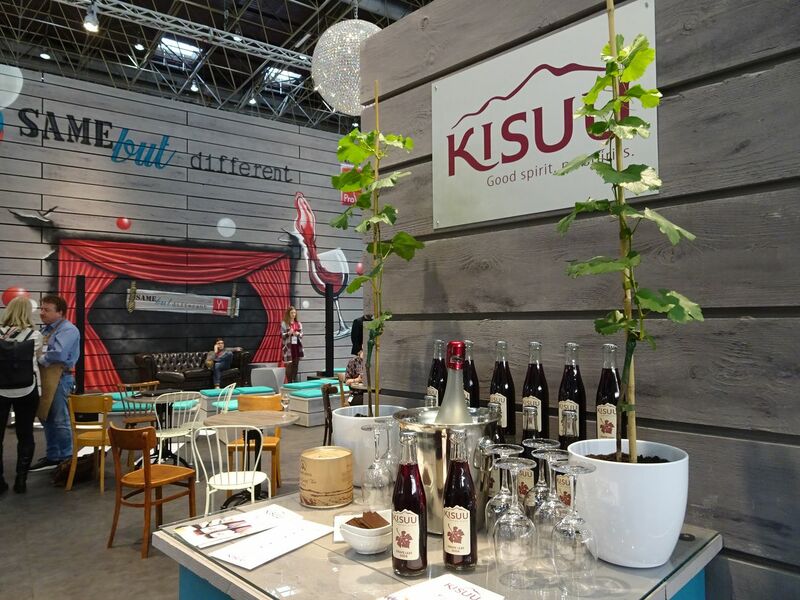 KISUU is the world's first Grape Leaf Soda and was very well received at this year's PROWEIN fair in Düsseldorf. Grape leafs contain very high levels of minerals, tartaric acid, and antioxidants. 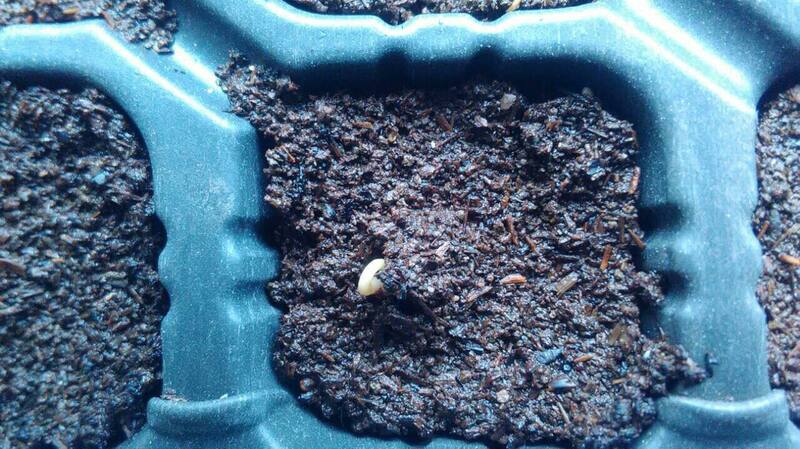 Many cultures cherish the young leaves as a healthy vegetable and ingredient of tea. 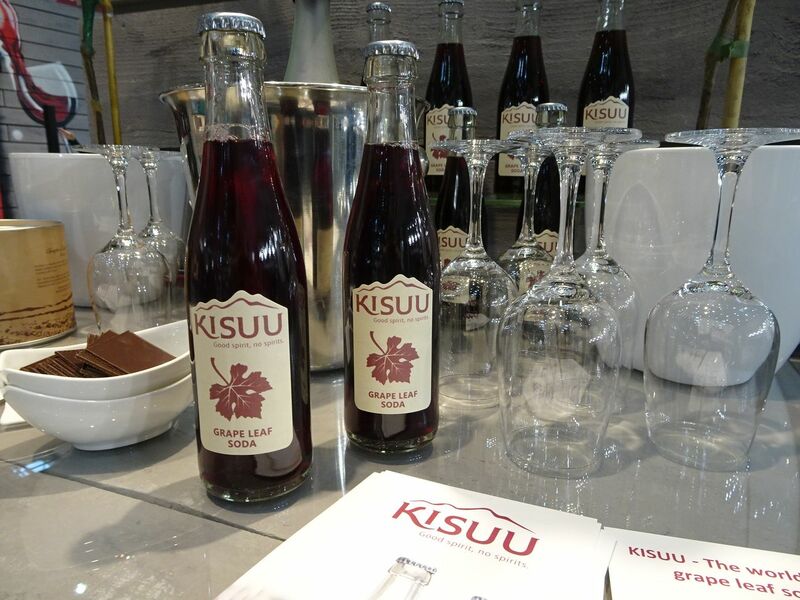 The wine experts from TVC and Chaivallier took this idea a step further and created KISUU, a softdrink for connoisseurs. Tartly, refreshing, unique. The name KISUU is derived from East Africa and means “good spirit”. 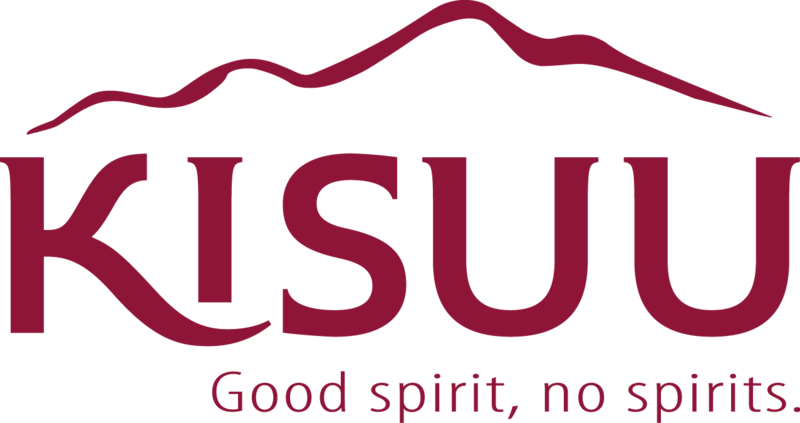 Good spirit – no spirits is our slogan and means that you can enjoy the best of the vine without a drop of alcohol. 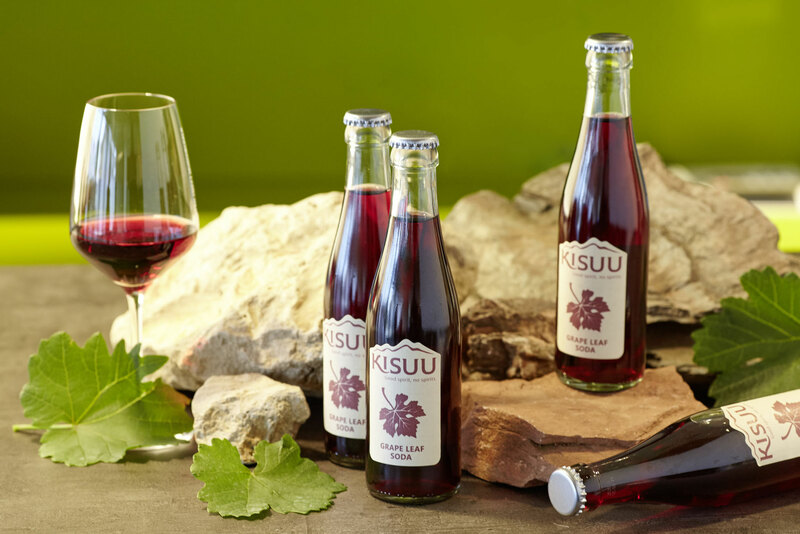 The lightly sparkling KISUU only contains cold-brewed grape leaf extract, spring water, and a tad of grape juice. 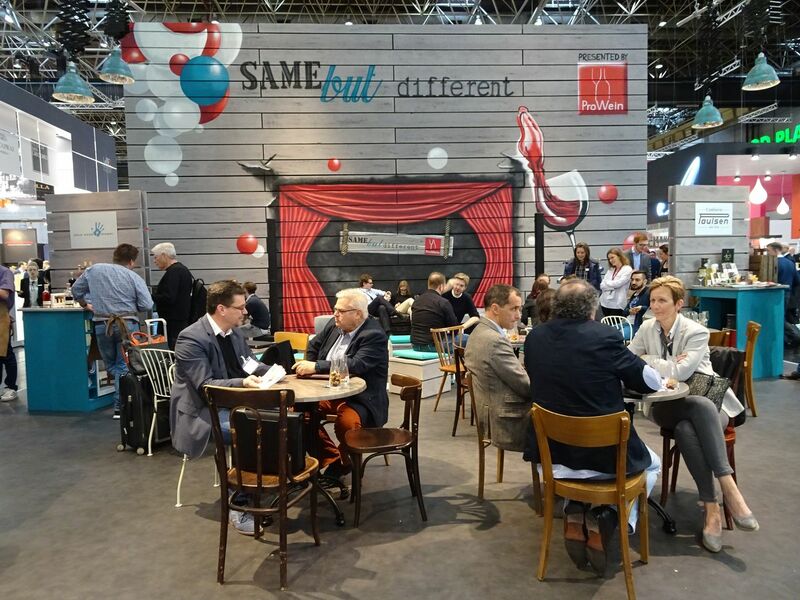 We are still in negotiations with producers and distributors for our market launch in Germany. From countries with millenia of wine making experience to such with no previous traditions, Asia is hugely diverse and up to now relatively uncharted terrain for wine lovers. Over the past decades, however, a rapidly growing modern wine industry has evolved. While a series of trophy winning wineries are gaining international attention, avid local wine professionals such as the Hong Kong based "The Flying Winemaker" lead a "vino revolution" aimed at changing the way wine is perceived and enjoyed in Asia. One of the most important venues of these exciting developments is the Asian Wine Review (AWR), which is published once a year and provides information on cultivars, wineries, the Asian wine business in general, and an evaluation of select Asian wines by tasting notes and scores. The review is an excellent way to familiarize oneself with the vibrant Asian wine scene and discover some truly unexptected wine gems. With more than 30 years of viticultural experience in Asian countries, TVC is proud to contribute to this years edition. Enjoy our editorial "A short history of tropical viticulture". When visiting Georgia, one will inevitably encounter the famous "Saperavi" cultivar and the full bodied, aromatic wines tradtionally made from it. As a teinturien cultivar, both the grape flesh and skin are of a deep red colour. Research from the past two years has shown that this vine produces grapes with exceptional levels of anthocyanins and polyphenols, which are known for their antioxidant properties and related health benefits. While "Saperavi" wine is delicious, there are of course numerous situations when a non-alcoholic beverage might be a better choice. In cooperation with the Agricultural University of Georgia and selected grape growers from Georgia, TVC has therefore developed and produced a single-origin "Saperavi Grape Juice". The high quality juice is produced with care, contains no additives or preservatives, and remains unfiltered to boost antioxidant capacities. Health-conscious consumers can now enjoy a refreshing non-alcoholic drink with the same benefits of a mouthwatering "Saperavi" but without alcohol! Trial production has started in October 2016, and the distinctive 0.33l bottles with the black "Saperavi Grape Juice" label will soon be available in selected winery restaurants, vino-therapy outlets, and health food stores in Georgia. PIWI Grape Variety "Rubin Golodrigi"
PIWIs, or fungus resistant grape varieties, have been grown by TVC on test trial sites in Asia since 1993. The experience of these last decades has TVC fully convinced: PIWIs are one of the most promising innovations in tropical viticulture! The results from trial sites as diverse as Curacao, Indonesia, Myanmar, the Phillipines, and Thailand are remarkable. With an increasing range of high-quality PIWI table and grape vine varieties, local conditions can be well catered for, and the resulting grapes are of high quality. In addition, the effect of reduced agrochemical treatments is even greater than expected: in Thailand, applications in PIWI sites could be cut by 50%, and even higher reductions are possible in regions with less pronounced monsoonal climate. This means a considerable economization of expenditures, but also significantly reduced environmental pollution and more carbon-footprint friendly vine production. While continuing field trials, TVC is therefore now starting to provide support for the first commercial PIWI cultivation in the tropics and subtropics. If you are interested in learning more about this great innovation, please contact us! For more information on PIWIs, please feel welcome to visit PIWI International. 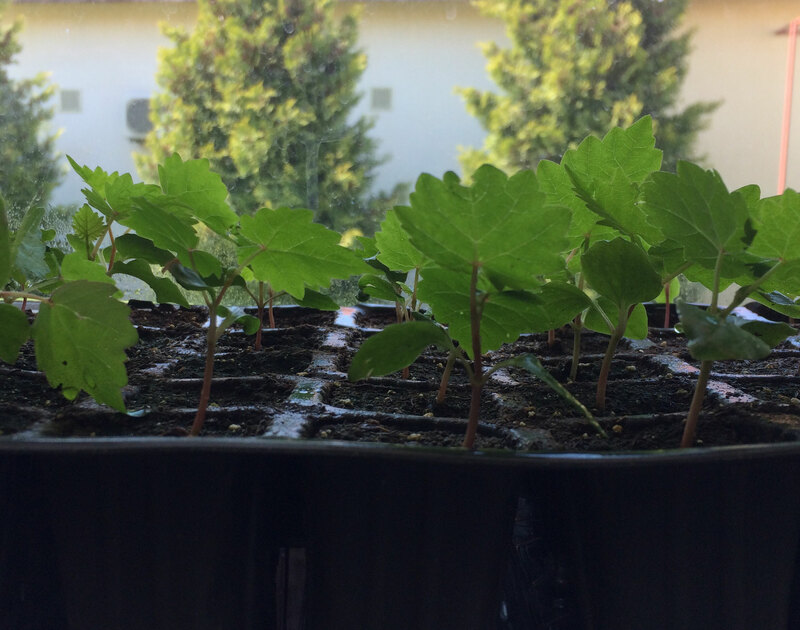 Red grape leaves are in ever-growing demand for the production of vein medication. The number of suitable cultivars are, however limited, and leaves have to be grown completely organically to minimize residues. It is therefore with great pleasure that we announce the newly sealed cooperation with the organic agriculture consultancy "ELKANA" from Tbilisi. Georgia, the cradle of over 300 autochthone grape cultivars, happens to be the home of some of the best of teinturien (=red leafed and fleshed) cultivars in the world. The "Saperavi", for example, is the only teinturien cultivar which is used for single-origin wine production and that with astonishing results! 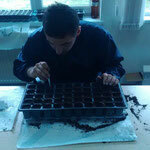 It also is a fungus tolerant cultivar, which is why coincidentally Valentin Blattner has been already propagating "Saperavi" and will surely introduce new dimensions for its cultivation. ELKANA are accomplished promoters of organic agriculture, including viticulture, and will support the new red grape leaf project with their valuable local expertise. First field visits in Georgia have been very promising, and we are very much looking forward to the BIOtiful cooperation with ELKANA! With the launch of the Asian Wine Producers Association, a pan-Asian network of wine producers join forces in their strive to shape and represent the new Asian wines from vine to wine. 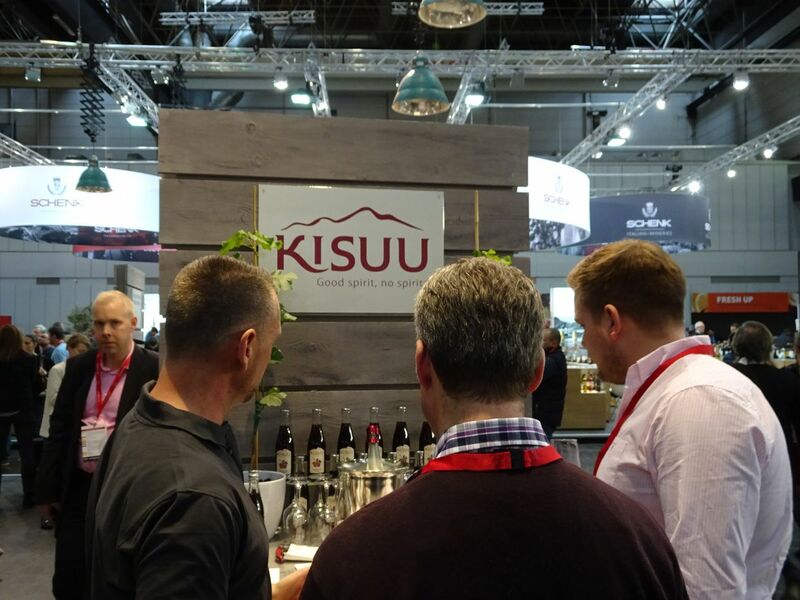 Created in Hong Kong during the 2013 Hong Kong International Wine & Spirits Fair, the association picked up its activities in 2014 and reunites some of Asia’s top wineries, two of which are also clients of TVC. Congratulations to all! 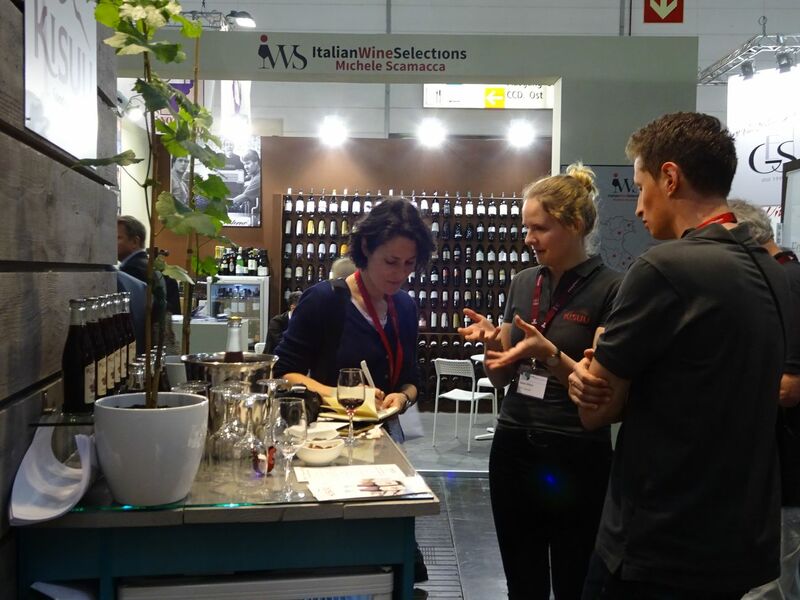 The 4th International Symposium on 'Tropical wines & Grape and wine production in diverse regions' was held from August 17-22 in Brisbane, Australia this year as part of the International Horticultural Congress (IHC2014). The symposium offered a two day programme with varied presentations and our session, too, went smoothly thanks to the great organization and the attentive audience. It was a great to catch up with colleagues, compare notes, and make new friends in the pleasant setting of Brisbane. We are already looking forward to the next symposium in 2018 - see you in Istanbul, Turkey! After several meetings and a joint travel to project vineyards in Asia in 2012, the well-known grape grower Valentin Blattner from Switzerland has affirmed his plans to cooperate with TVC in establishing a new research site and seedling facility in the tropics. Mr.Blattner is one of the leading European grape variety hybridizers and known for innovative crossbreeds and ground-breaking results in the development of fungus resistant varieties. He plans to work on new PIWI varieties especially modified for tropical viticulture, for example by considering especially adapted vines from the Caribbean and Brazil (Vitis Caribea / Vitis Tiliifolia). The idea to locate these research efforts in a tropical country with existing viticultural infrastructure seems natural. 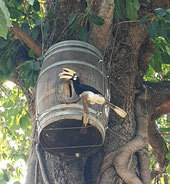 One can build on sound experience and resources from the existing vineyard and facilities while benefiting from the uncomparable advantages of viticultural production in the tropics. 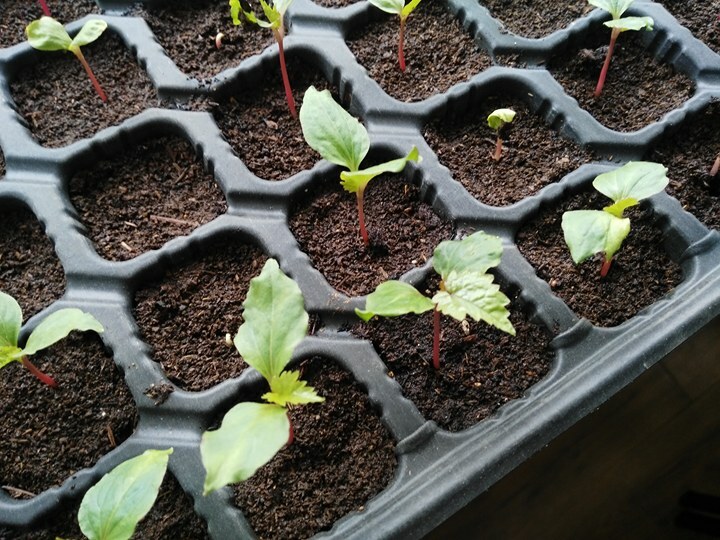 These include a year-round vegetation phase, which allows for a higher replication rate, continuous growth of seedlings (instead of being limited to summertime) and thus a much faster development of new varieties. In addition, the more far-reaching possibilities of regulating grape vine development in the tropics through pruning measures leads to the simultaenous florescence of both early and late blooming grape varieties. In selective breeding, this is a huge advantage, because it renders the complicated and costly storage of pollen unnecessary. Last but not least, speficic traits for grape varieties under tropical conditions can be tested in real time and in situ. 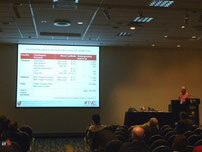 TVC is implementing the as yet most comprehensive test trial of fungus resistant grape varieties in a tropical country. A new trial field with a selection of 25 most promising varieties has been established in late 2012 to gain more knowledge on the applicability and benefits of these special crossbreeds under tropical monsoon climate conditions. TVC has been succesfully growing fungus resistant grape varieties, also known as PIWIs, on trial sites in Asia since 1993. These efforts were funded and taken up by several pioneer winemaking companies. The latest test trial builds upon the experience of the last decades and also includes the latest generation of PIWIs, a field of viticultural development that is continuously advancing. 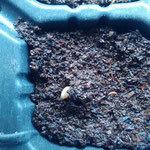 „PIWI“ is a German abbreviation and stands for "Pilzwiderstandsfähigen Reben", or fungus resistant grape varieties. These were created by crossing European grape varieties and American fungus resistant varietals. The resulting crossbreeds have been steadily improved since the 1950s, and today provide a high quality alternative to common wine varieties. They also scientifically belong to the type Vitis vinifera because they cannot be distinguished taxonomically.